(Norton 279) First time release of 21 live in the studio 1973 demo recordings from this influential NYC combo- all from master tapes! Dig these primal studio demos of NY Dolls original classics like "Looking For A Kiss" and "Personality Crisis" and wild covers like Gary US Bonds' "Seven Day Weekend" and Chuck Berry's "Back In The USA", all served up as only the Dolls ever could-- with enough raunchy romp and stomp to start a riot! These spring '73 sessions showcase the young band for the first time with drummer Jerry Nolan and feature the mauling antics of late, great guitar legend Johnny Thunders. Never issued until now and packaged with never seen photographs, boss notes, tons of class! On Norton Records... of course! 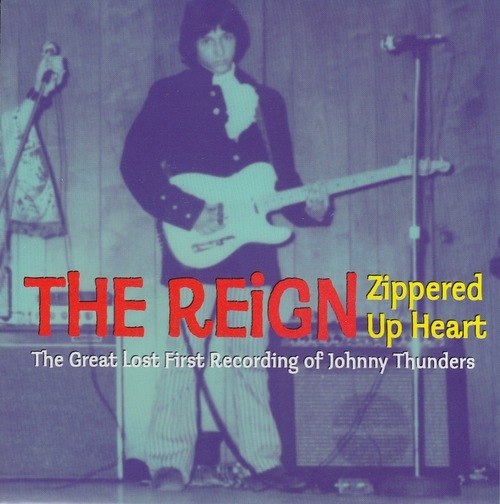 Dolls mavens- don't miss the earliest known recording from Johnny Thunders when he was in the Reign! Pick up Norton 45 091-great 60s garage punk rekkid, boss sleeve, too! Click the button below to add the 279 NEW YORK DOLLS - A HARD NIGHT'S DAY CD (279) to your wish list.